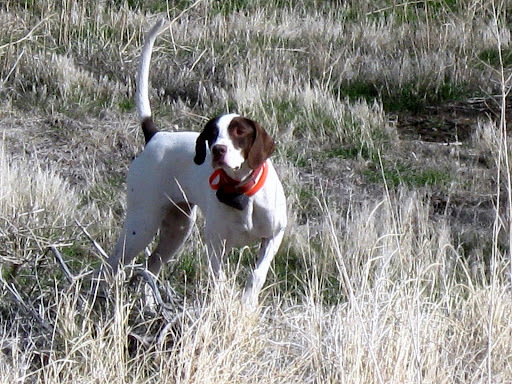 A FEW QUAIL AND A CRAZY CHUKAR: PRIDE TEAMS UP WITH DIGBY THE GREAT! This was probably our last chance as a family to hunt some birds at old EGA for this season. 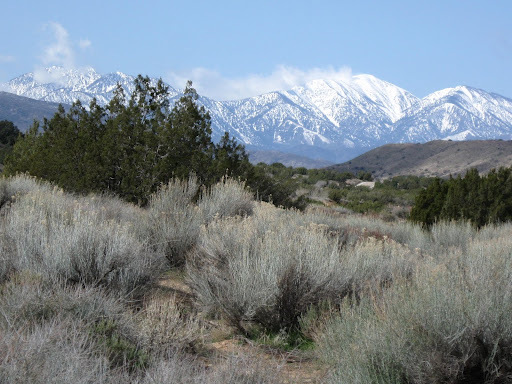 Next week promises to be very warm and the rattlesnakes aren’t going to stay down forever. We just don’t want to risk Pride under those conditions and even though the official season runs into May in California for game clubs, this was likely finis! to a great year. scent and BAM! Twisted into a “U” shape. The end result. Her retrieving has improved dramatically this year. she found it. Very nice job. Recall Digby the Shoot-to-kill Dachshund? Well he returned for an encore performance. 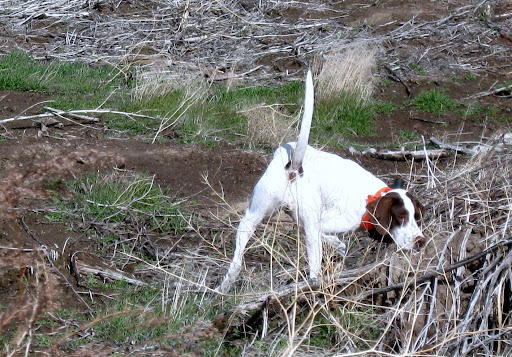 His owner put a chukar out in a large, dormant desert buckwheat clump. I was out looking for the last quail and Andy sort of jumped the gun. Pride found the quail and I shot and she retrieved. Then we headed for Digby and the area where the chukar was. Normally I would put Pride up but she was into the hunt and so was Digby! Pride sailed past the spot where the bird was hiding but Digby, with great dash and radar-nose realized that buckwheat clump was “hot!” He jumped as high as he could and started mauling the bush, circled it once, and then dove in. Out came the chukar running for all it was worth! The race was on in between the clumps of desert cover. Pride joined the fray and finally pinned the bird in a grassy area. But Digby charged in and out came the chukar, running like a track star. I was dragging my sorry carcass behind all this as fast as I could and finally, Mr. Chukar decided it was time to git–he flushed wild about 30 yards out and I made the shot of the year, screeching to a halt and throwing the gun to shoulder. BANG! Ignition and down came the bird. Pride grabbed it and started to bring it in, accompanied by the intrepid Digby who was grabbing at the chukar all the way. At one point he had it hard enough that I’d swear Pride was retrieving bird and Dachshund! This was almost like a spaniel trial, flush and shoot. I was out of gas. It was time to head to the clubhouse and a little picnic lunch. What an adventure. What a great way to bring it all to a close for this season. Joanne took this final shot of the mountains for us to gaze at during the long summer months, to bring back great memories of Pride, Digby, Andy, the beautiful high desert landscape and our time together. God has blessed us all! Previous Post MISTY . . . HEAVEN HELP US!!!! Pride looks amazing on point! 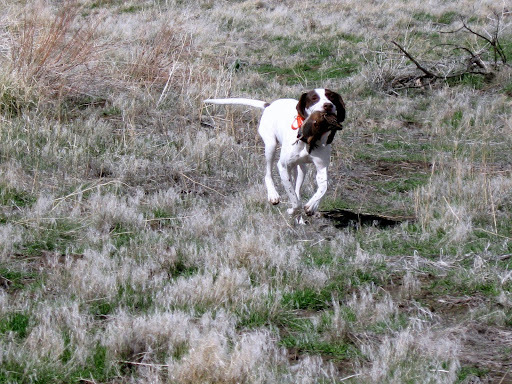 She's turned into a hell of a bird dog…makes me proud of her! It's always great to see people who love good dog work. There is nothing I like more than being out with my dogs. Nice shootin' Tex! I would take those odds any day.